First introduced in gold last year, the Slim d’Hermès Quantième Perpétuel is the complicated sibling to the time-only Slim. Like its simpler cousin the perpetual calendar features the custom typography by graphic designer Philippe Apeloig, one of the several details that give it a clean but nuanced look. 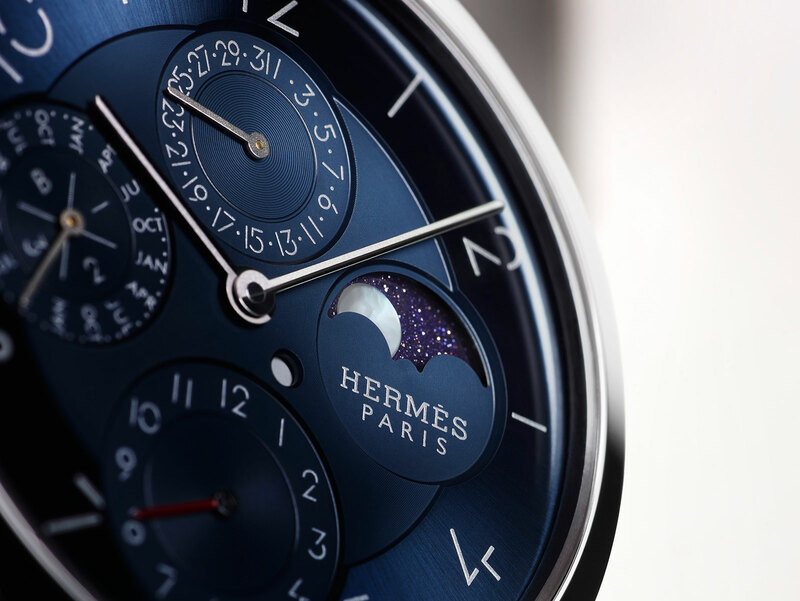 The new platinum model sticks to the same design, with the only tweak being the dark blue dial with silver-tone numerals and rhodium-plated hands, excepting the bright red second time zone hand at six o’clock. Material and colour aside the watch is identical to the gold version. 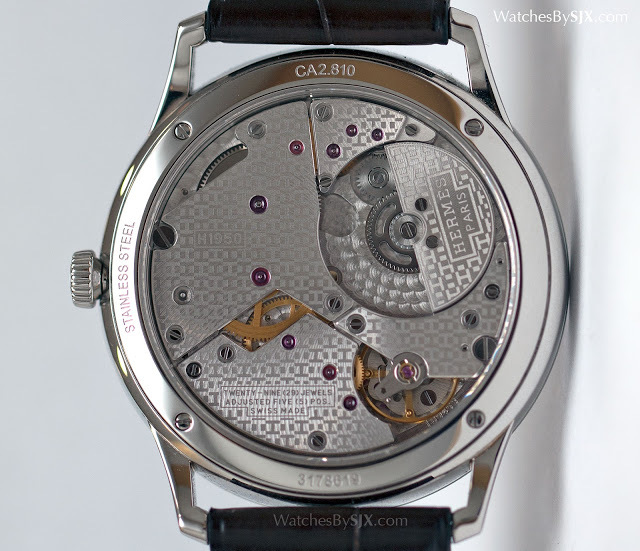 The case is 39.5mm in diameter, with the self-winding H1950 movement inside. 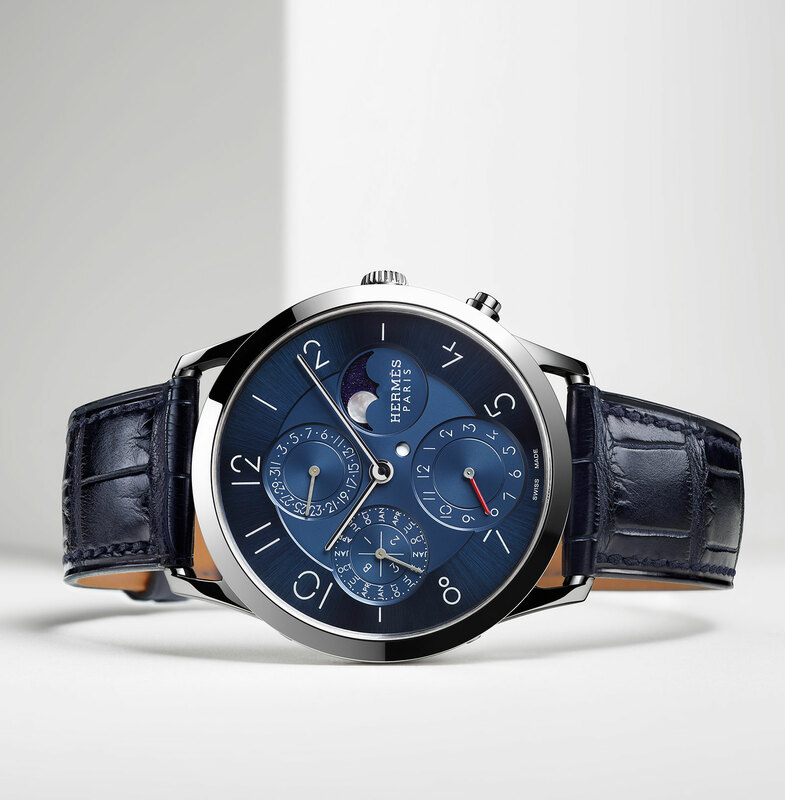 It features a perpetual calendar and second time zone that can be advanced by the button at four o’clock. Produced by Vaucher, the movement maker in which Hermes owns a quarter stake, the H1950 is the same calibre found in the Richard Mille RM 33-01 and the Baume & Mercier Clifton Perpetual Calendar. The perpetual calendar mechanism, however, was devised by Agenhor, the noted Geneva complications specialist. 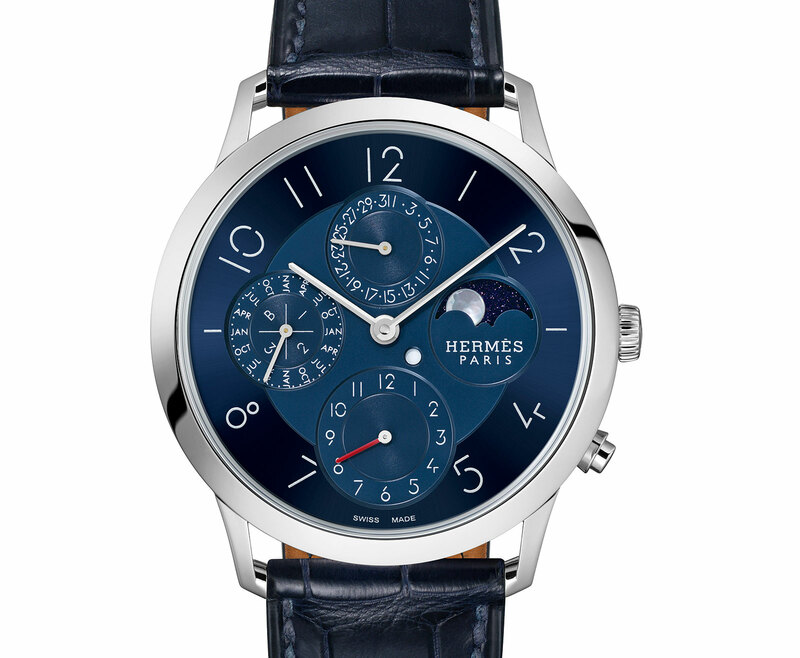 The Slim d’Hermès Quantième Perpétuel Platine is priced at SFr38,000 or €33,500.